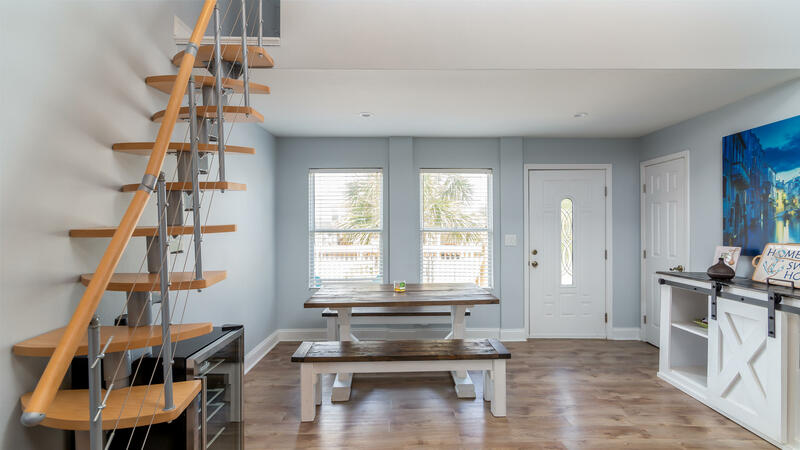 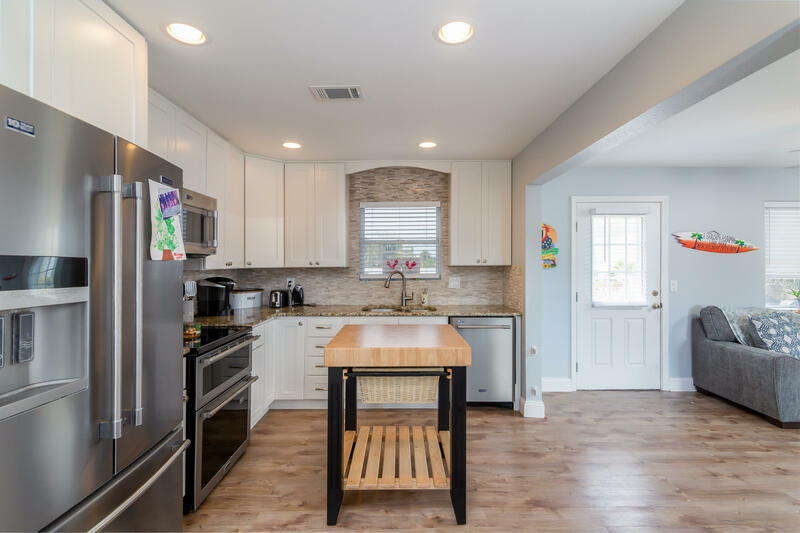 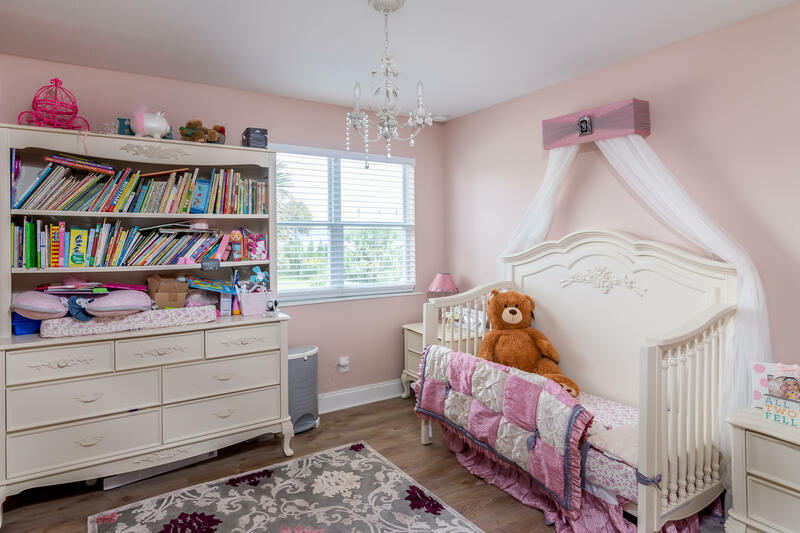 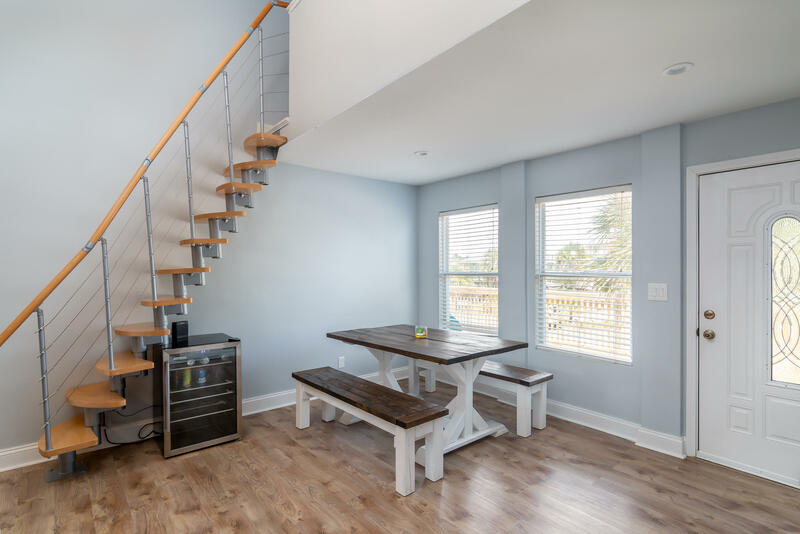 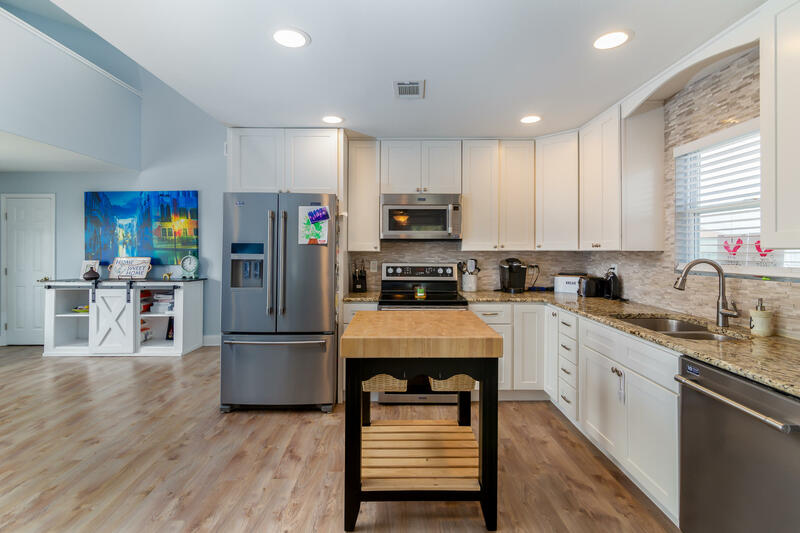 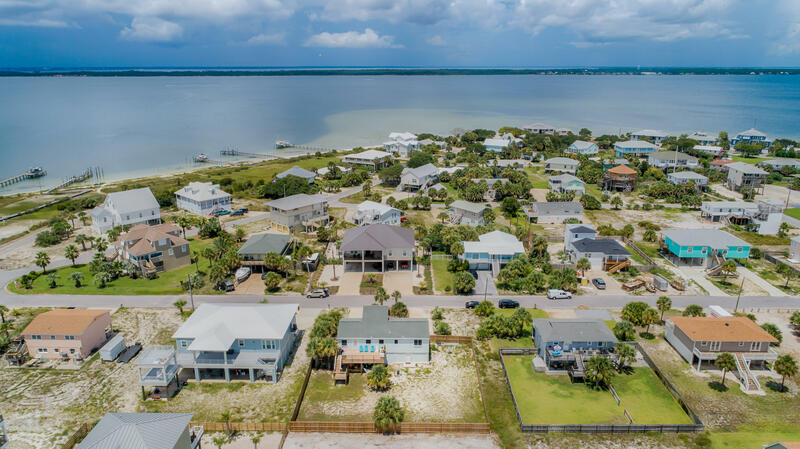 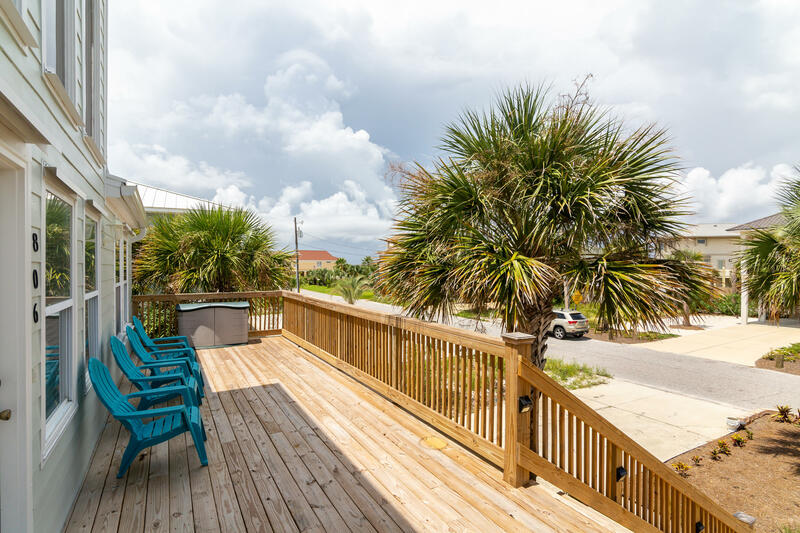 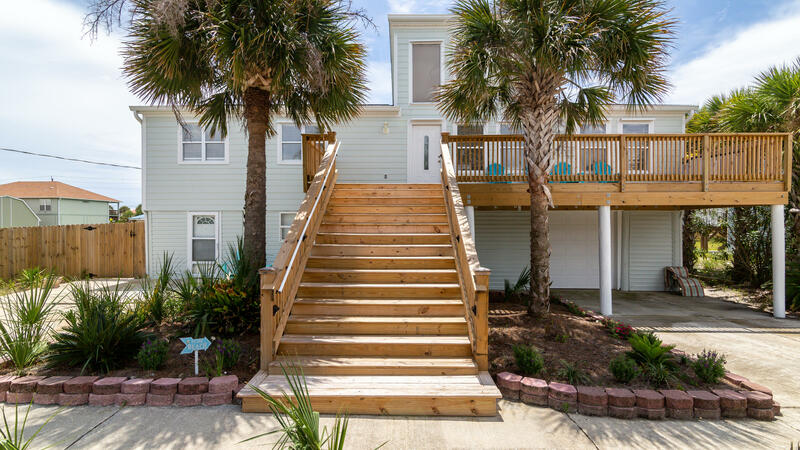 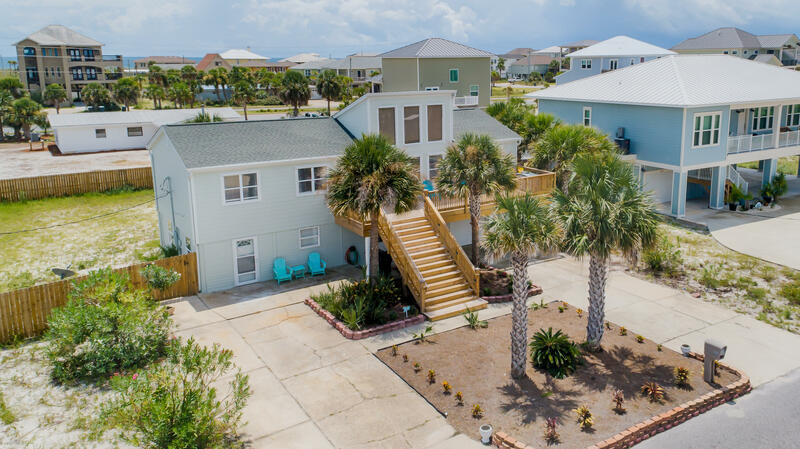 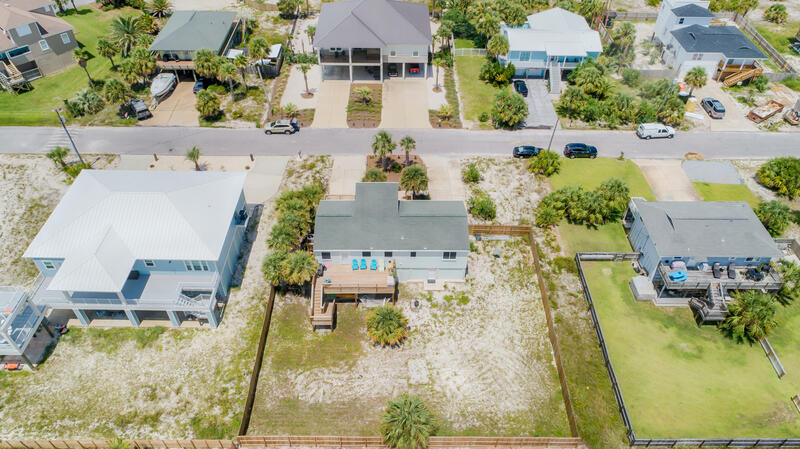 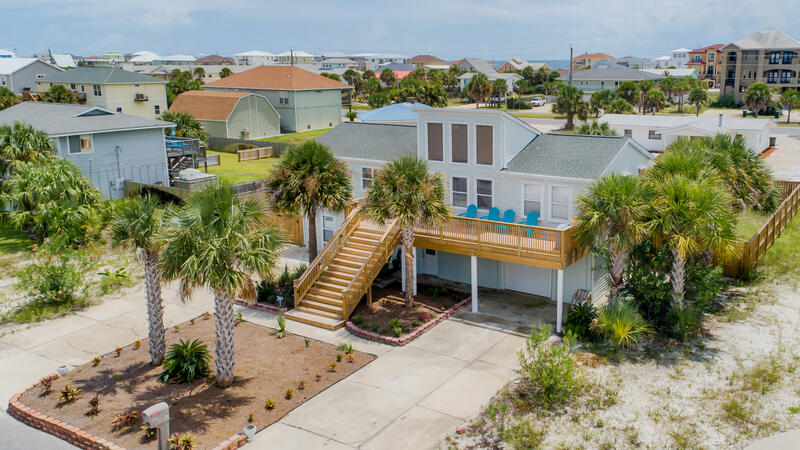 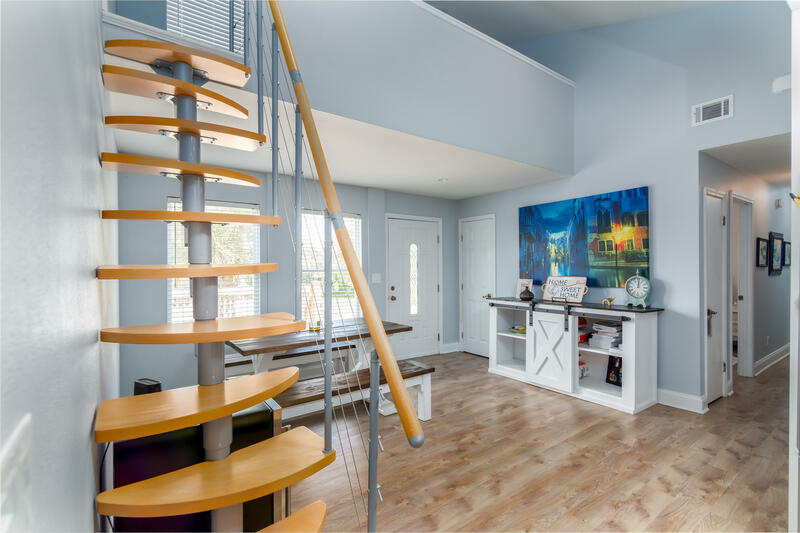 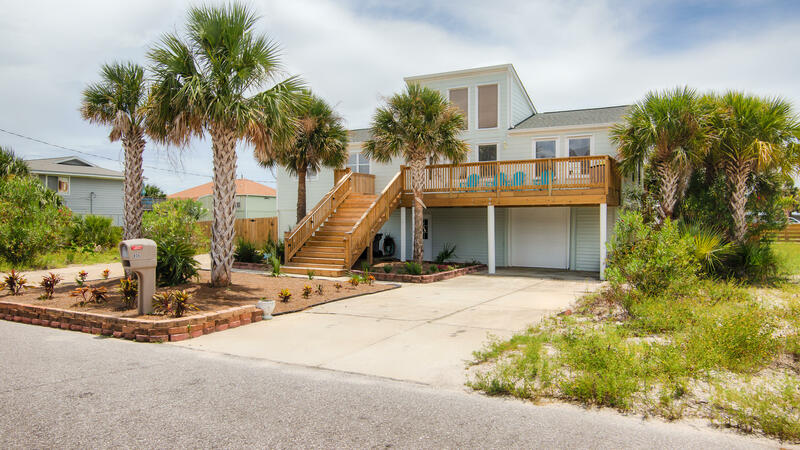 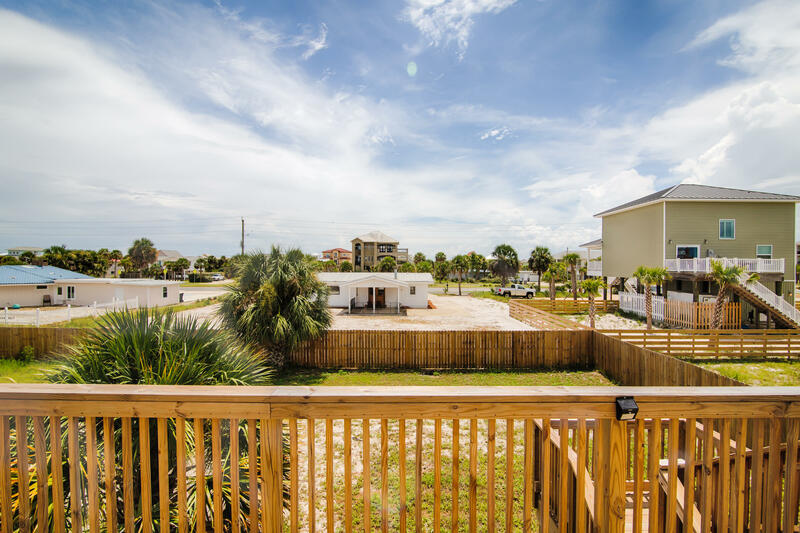 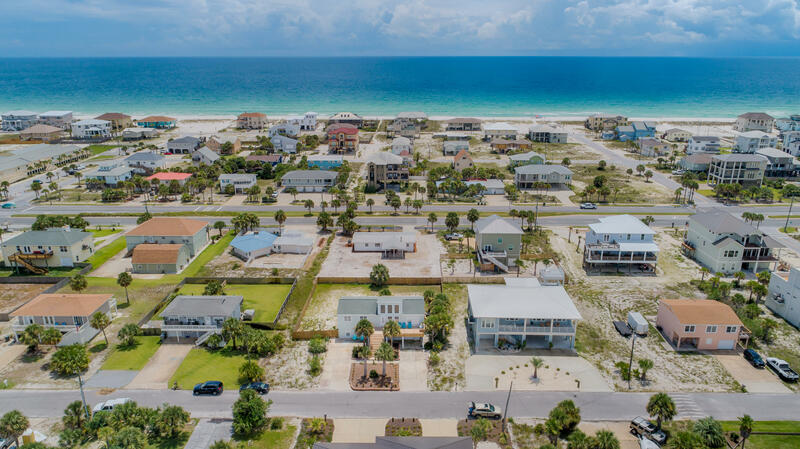 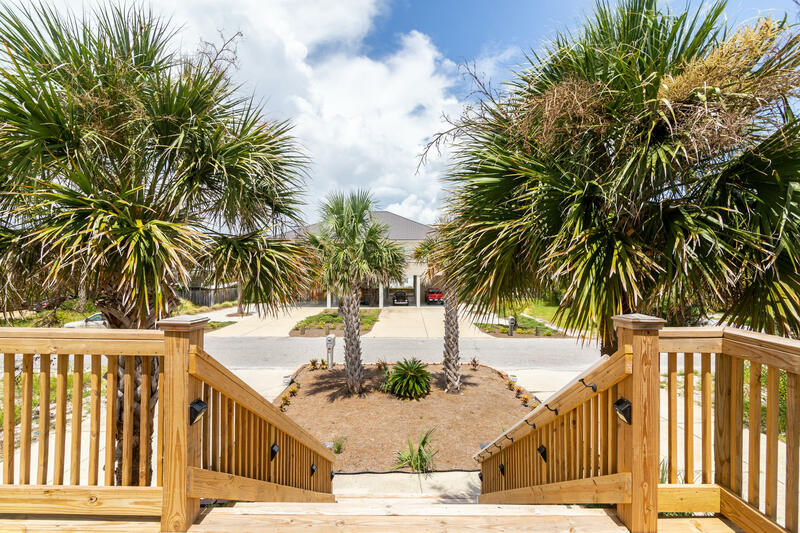 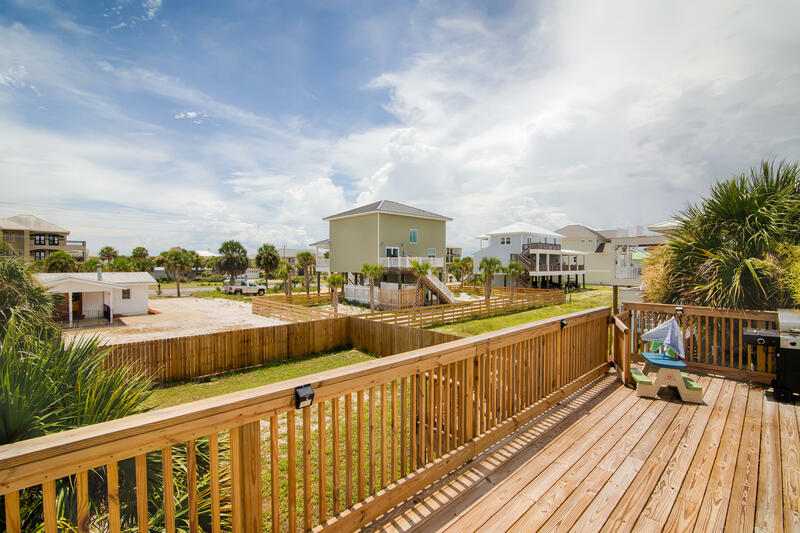 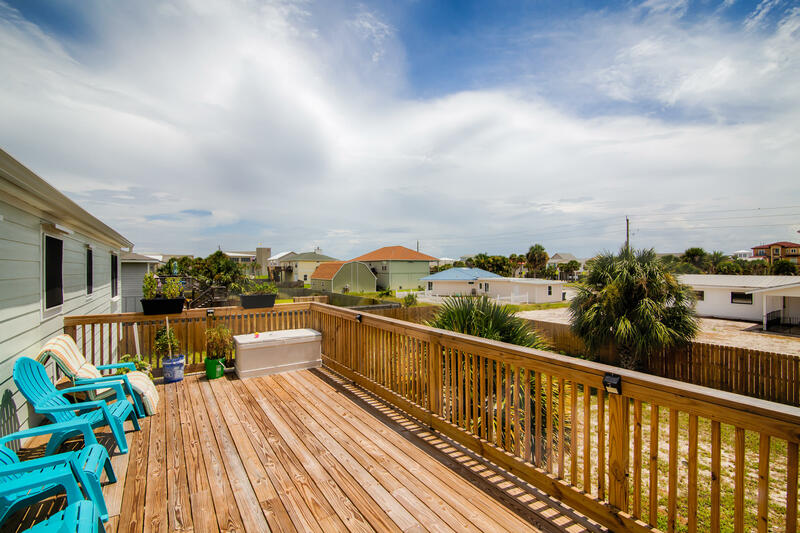 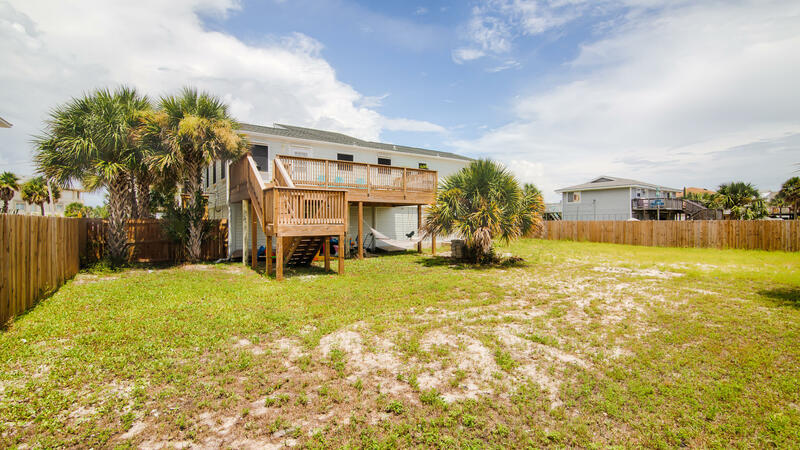 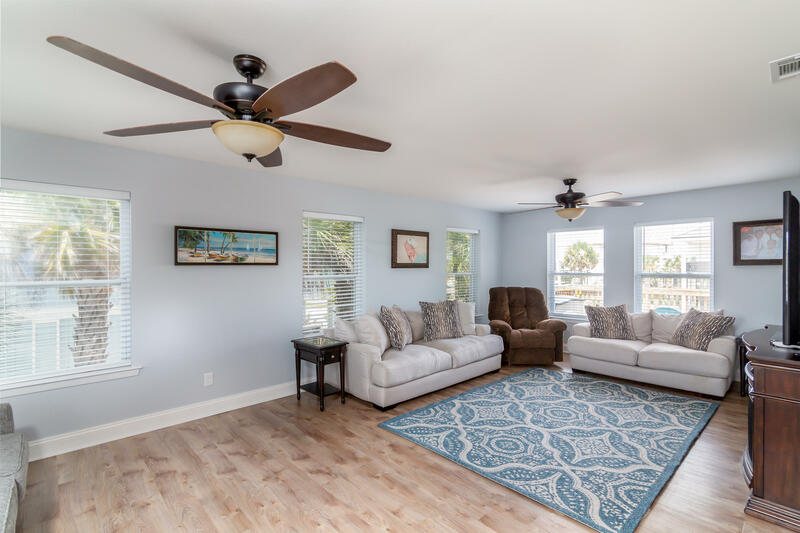 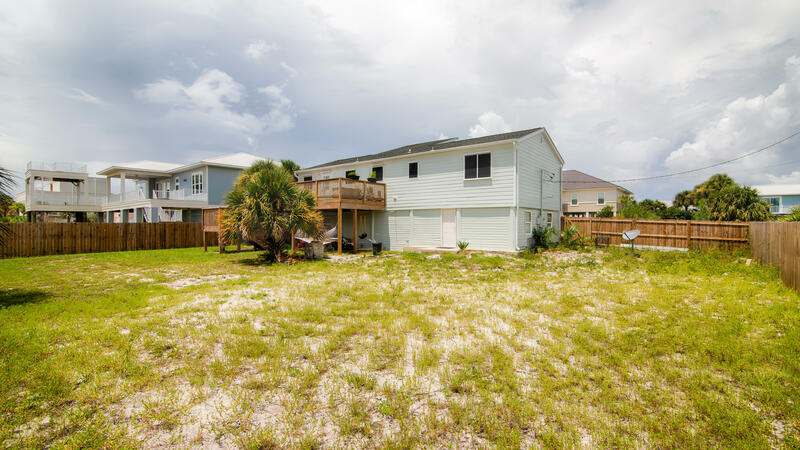 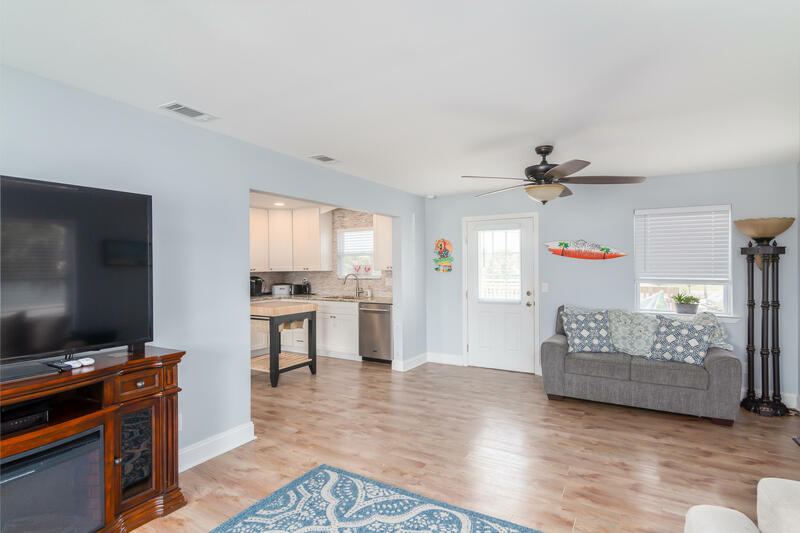 806 Panferio Drive, Pensacola Beach, FL 32561 (MLS# 806844) - Real Estate Professionals of Destin, Inc. | Real Estate Professionals of NW FLA, Inc.
to a spacious loft large enough for a queen size bed. 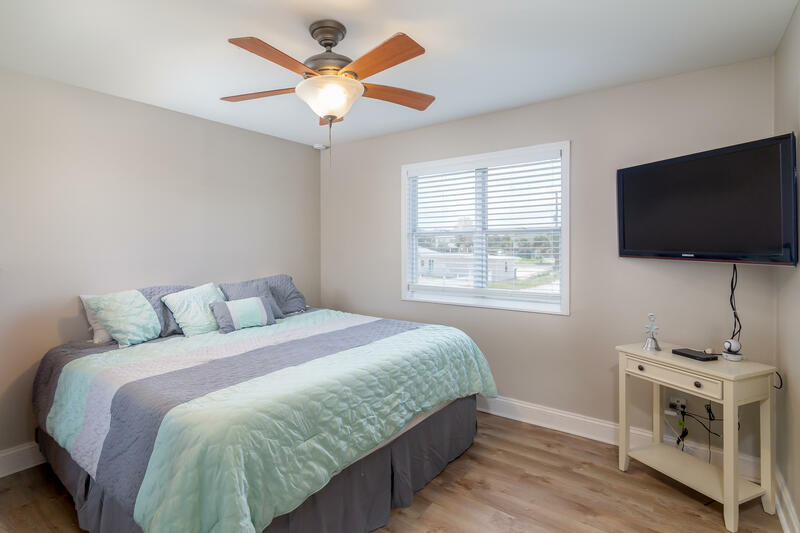 The 2 additional guest bedrooms are great size and situated across from the full guest bath. 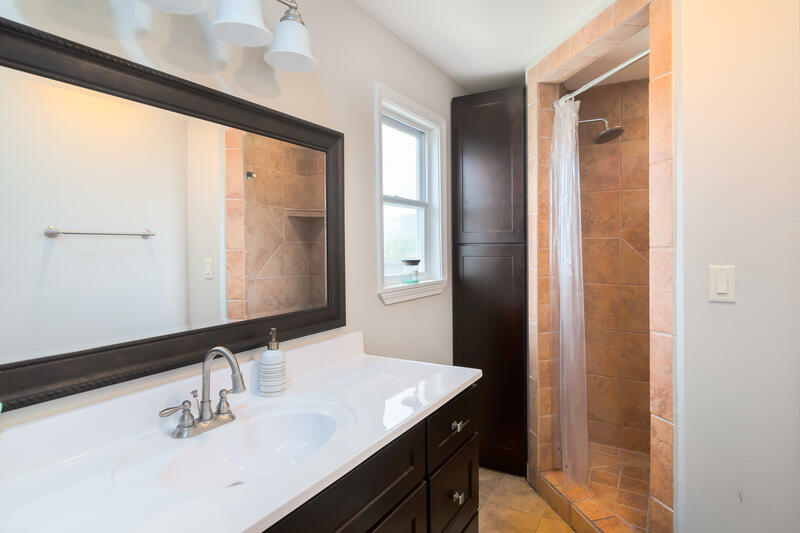 The master bedroom features an en suite master bath with full tile shower, large vanity and linen storage cabinets. 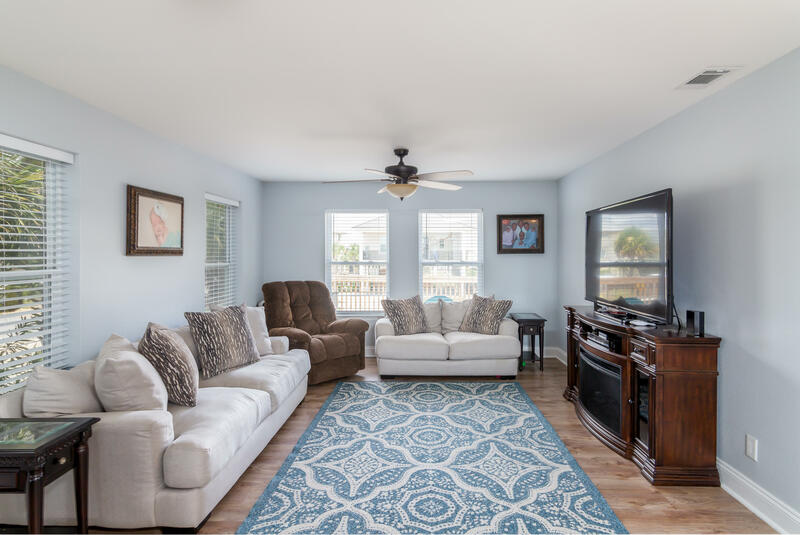 The living area is very spacious and features plenty of windows for natural light and views of the back deck. 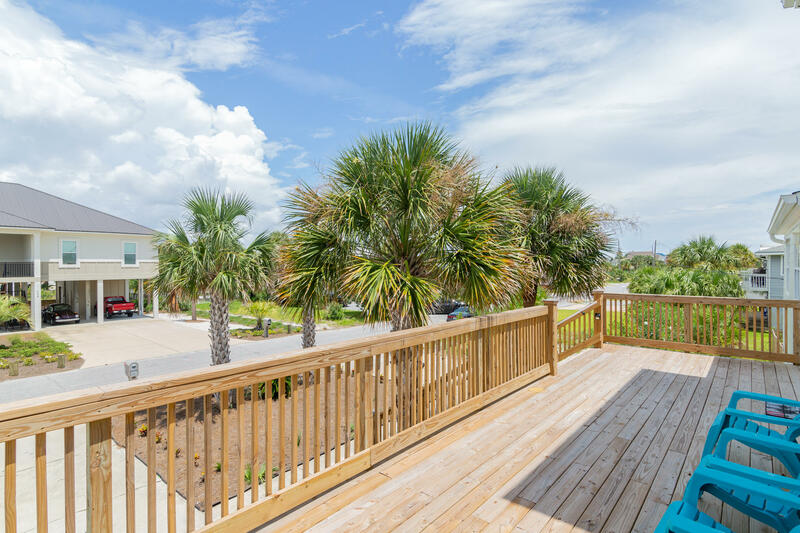 The home is perfect for entertaining guests, as the new back deck boasts gorgeous views and additional outdoor living/dining space. 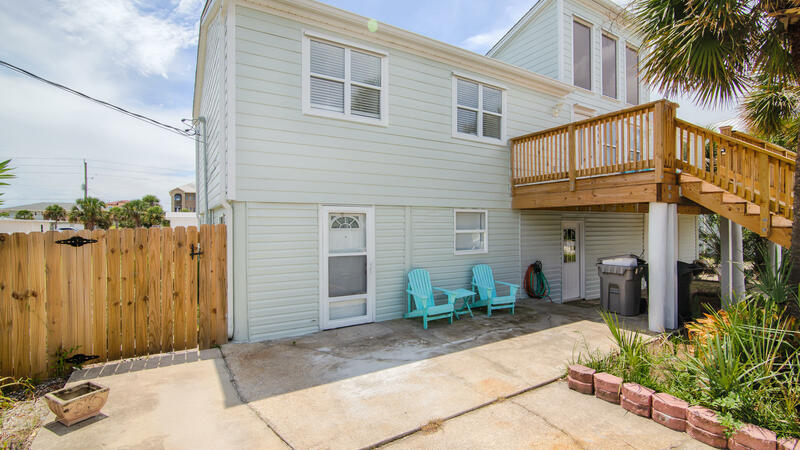 Not to mention there is room for a hot tub! 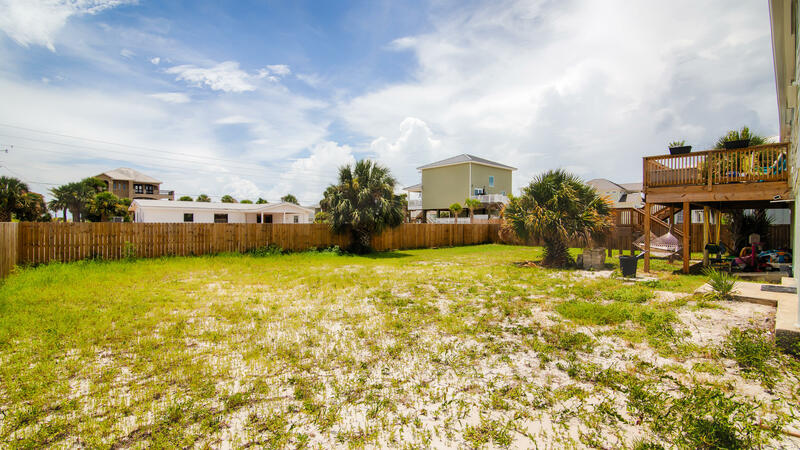 The recently fenced backyard is full of possibilities, from putting in a pool or beach volleyball court to creating your own private oasis. 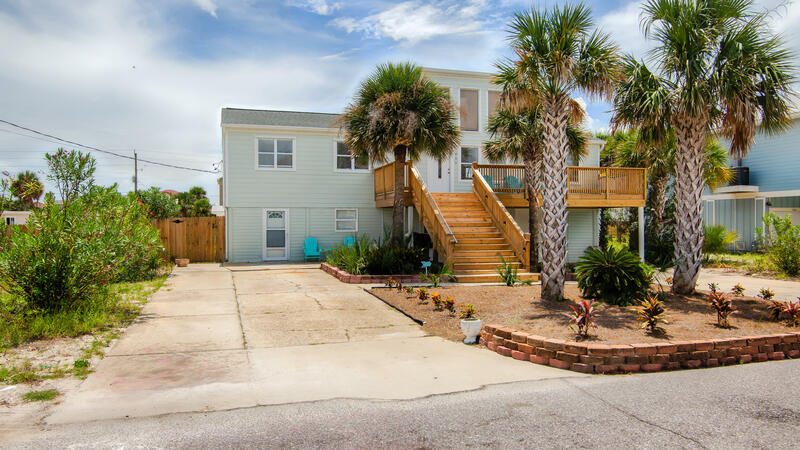 This cool and inviting beach home is only 0.2 miles from the Gulf of Mexico and 1 block off the sound. 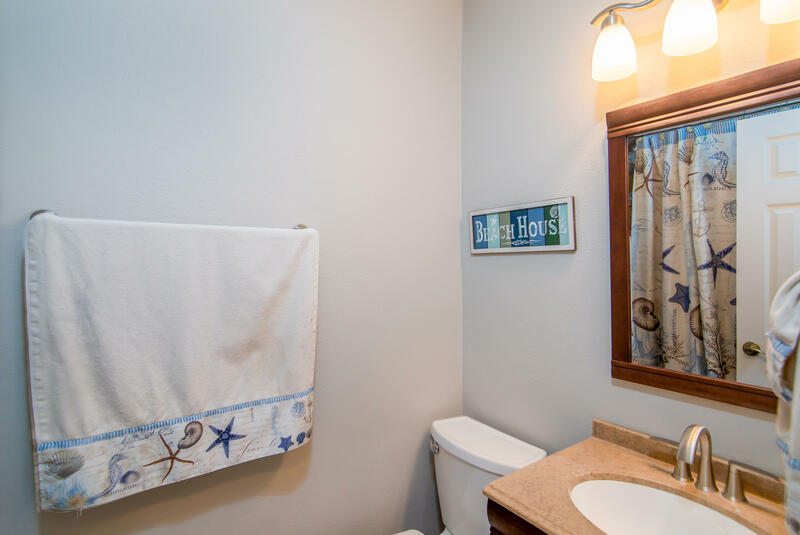 It doesn't stop there. 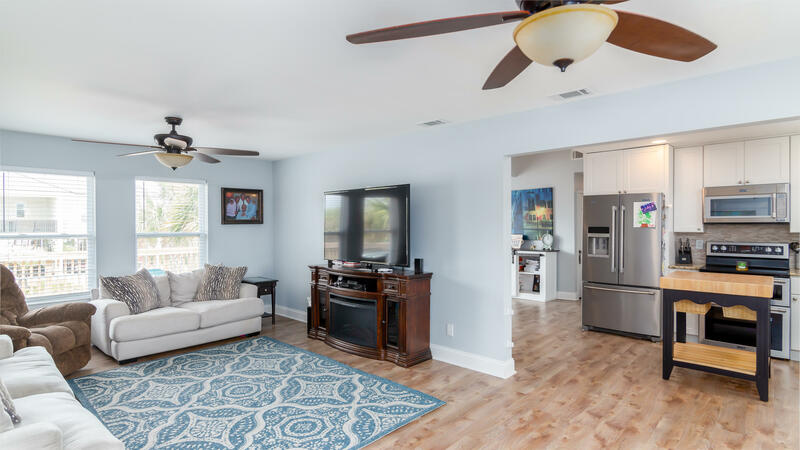 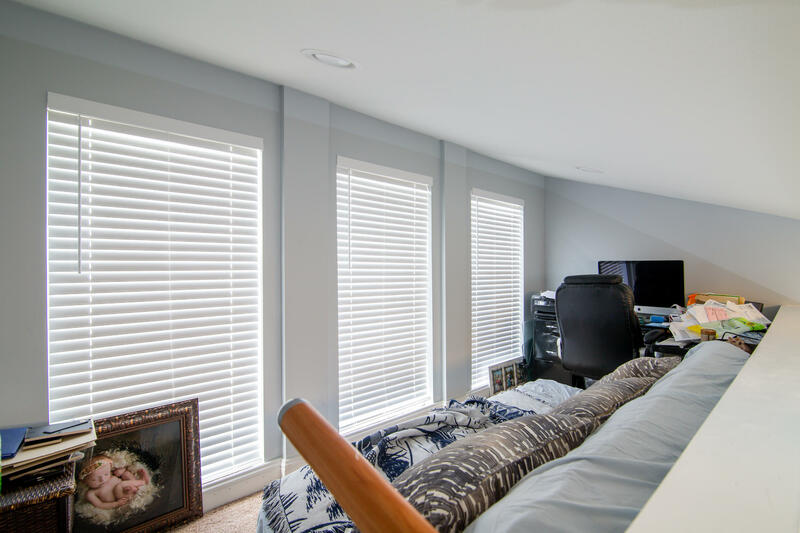 The home also features a one car garage with extra storage that is plenty large enough for golf cart, 500 additional sq ft of bonus space downstairs and a workshop. 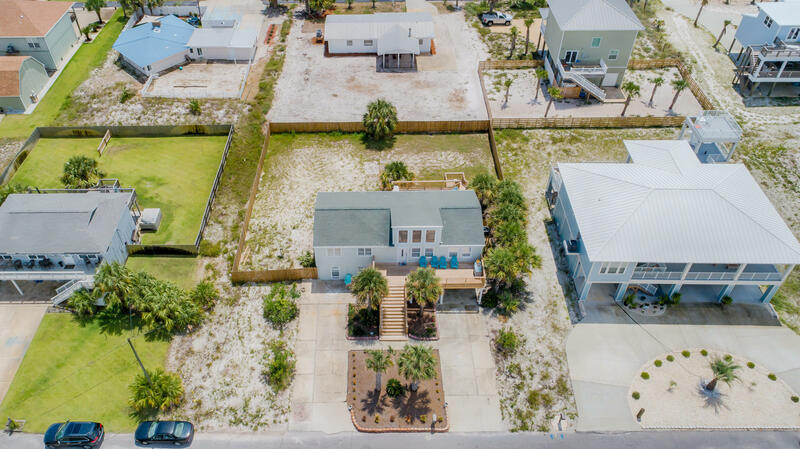 If you are looking for an incredible investment opportunity or been dreaming of living the ultimate beach lifestyle, this one is for you!